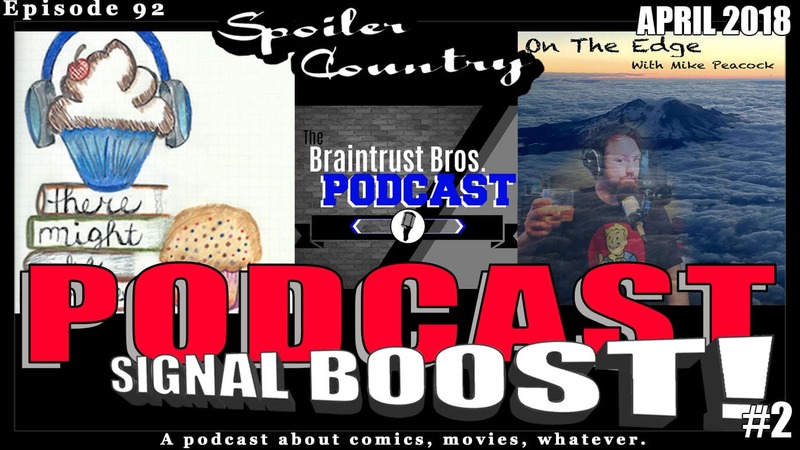 Podcast Signal Boost #2! Braintrust Brothers! There Might be Cupcakes! On the Edge with Mike Peacock! Another signal boost for your ear holes! And here we are again, it’s time for the Podcast Signal Boost series lovingly called the PSB. In episode 2 we introduce you to three outstanding podcasts: Braintrust Brothers, There Might be Cupcakes, and On the Edge with Mike Peacock. Come inside and hear a brief synopsis from the creators themselves. So, sit back, grab a drink and listen as we give you a personal podcasting tour. ← Uwe Boll on Politcs, Healthcare, Gun Control and that crazy person Alex Jones.